Welcome to the Week 15 DraftKings Tournament Guide! This Guaranteed Prize Pool overview covers the main slate on DraftKings and how to approach the week with roster building strategies, games to target, and cheap salary-saving dart throws that could reach their ceilings this week. Let’s get right into Week 15 and analyze how we should be approaching the main slate for tournaments this week. This week more than ever seems like one where we want to focus around locking in our running back touches first and then prioritize our QB/WR plays via game stacks. By now you don’t need me to review the top backs in the league. 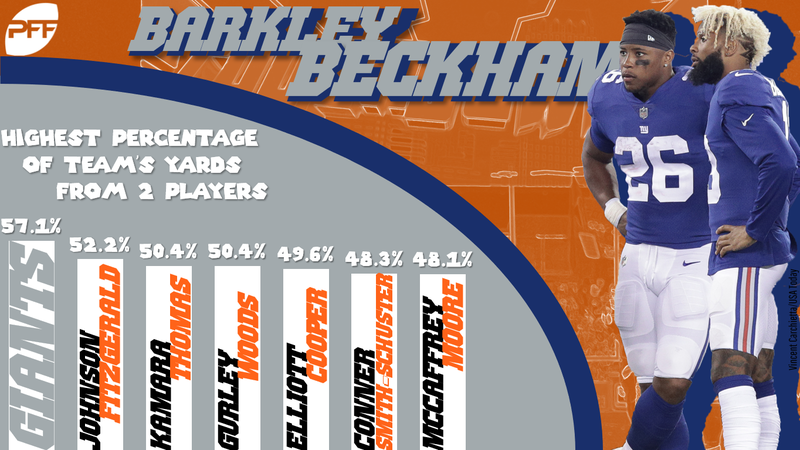 Saquon Barkley and Ezekiel Elliott both see enough volume rushing and receiving that there’s little reason to fully fade in case one goes for 35-plus fantasy points. The next tier down has some other backs we don’t want to neglect in our player pool. Leonard Fournette has 30-touch upside in this matchup with Washington. He makes for a great conventional stack with the Jaguars DST. Joe Mixon and Dalvin Cook are two players in plus matchups who project for an uptick in volume on the ground. Both players are cash and tournament viable. The mid-to-low tier is flush with some interesting options who project for a lot of touches. It wouldn’t shock me at all to see Jaylen Samuels (vs NE), Doug Martin (at CIN), Jeff Wilson (vs SEA), and Marlon Mack (vs DAL) all see 20-plus touches this week. Their prices also allow for a lot of flexibility in roster construction. We’re getting late in the regular season, but winning tournament lineups generally have had the same roster construction for much of the year — emphasizing running backs with high volume.